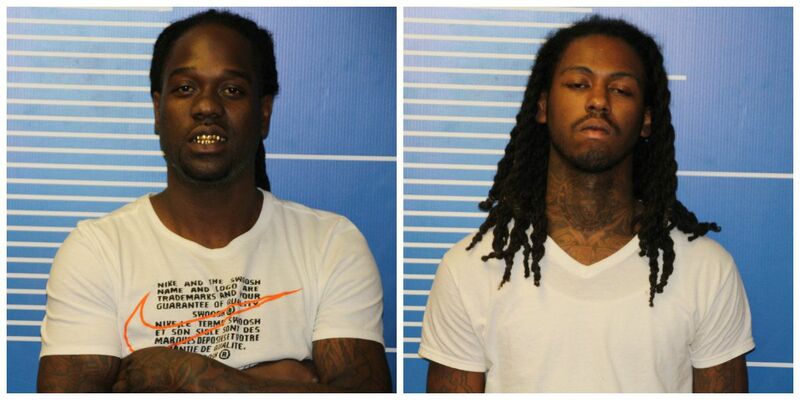 Johnson and Evans are facing kidnapping, burglary and weapons charges according to Sikeston DPS. SIKESTON, MO (KFVS) - Two men are facing kidnapping, burglary and weapons charges according to Sikeston DPS. Brandon Johnson, 31, of Sikeston and Thomas Evans, 29, of Bellwood, Illinois have been charged with kidnapping, armed criminal action, burglary, unlawful use of a weapon and unlawful possession, and were taken to the Scott County Jail on a $75,000 cash only bond. On Saturday, October 13 around 12:15 p.m. officers responded to 520 South New Madrid Street for an alleged burglary and kidnapping. Officers met with the alleged female victims and two witnesses. According to the alleged victims they had visited three others in a motel in Miner on the previous evening that included the two suspects and another female victim. The next morning on Saturday, one of the victims was contacted by phone accusing her of stealing his money. The victim denied the accusations made by Johnson. Later she returned home and left her vehicle when she was confronted by Johnson and Evans. The victim reported that they drove up in a black van, jumped out and tried to force her into the van at gunpoint. DPS said the couple again confronted her about stealing cash from them and she again denied the allegations. Police say they learned Johnson and Evans allegedly led the victim into her home at gunpoint and confronted the other female victim about the missing money. Both victims allege that Johnson threatened to harm them and their family if they did not return their money. During a struggle witnesses reported hearing Johnson and Evans yelling and called police. The witnesses reported once they contacted police the suspects left the scene. When officers arrived they learned of a third female was inside the van the suspects were driving. She was reported to be naked and had a minor injury to her facial area. The female victim alleges she had been help against her will by the suspects. Evans and Johnson are due to be arraigned October 17 in Scott County Circuit Court.